Career44 Manpower Consultancy are fully equipped with latest technologies in providing enhanced services with greater efficiency, productivity and effectiveness to meet the changing market environment in supply and meeting every increasing demand in human resources industry. Our diversified client portfolio is serviced with a well -defined Recruitment Process complemented by a highly developed IT infrastructure with constant Database Creation, Updating & Retrieval Facilities. All this to ensure that our clients are provided with the best possible talent available candidates. Career44 Manpower Consultancy has an established team of highly qualified consultants and recruiters with a diverse range of expertise and industry experience. With this wealth at its root our team is empowered to accurately assess staffing requirements of our clients, and efficiently liaise with them on all aspects of their manpower needs. Career44 Manpower Consultancy have excellent relations with the various Embassies / Consulates , Airlines , and Local Government Authorities which would ensure a quick completion of formalities and mobilization. 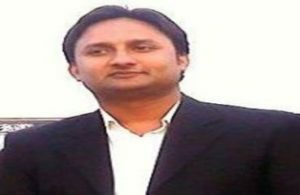 Mr. Zakir Hussain, Founder-President Of Career44 Manpower Pvt Ltd. Mr. Zakir Hussain, the man behind Career44 Manpower Pvt Ltd has been in the business since 2015. Mr. Zakir Hussain is a man of great experience & expertise. 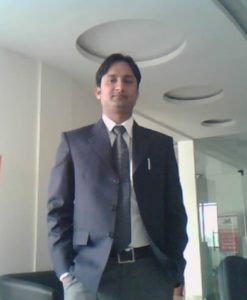 His greatest assets are his Public Relation skills that he has mastered through wide both inbound & outbound traveling. He is meticulous, well informed and focused in his approach. 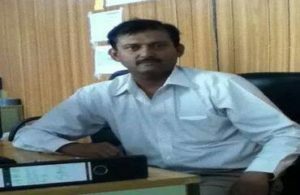 Mr. Zakir Hussain has handled jobs of a wide variety from a range of Gulf, Middle-east, African and South Asian countries. The personal services rendered by him have been prompting the same employers to utilize of his office repeatedly. Mr. Zakir Hussain oversees the operations of all Career44 Manpower Pvt Ltd and associated firms and has played the central role in evolution of organization. He is a visionary and a force to reckon with. We are in the fast lane propelled by excellence. Our skilled and dedicated team work hard to add value and efficiency ensuring every candidate we recruit is the right match; every service we provide is of high quality. Over the years we have been able to create a niche for ourselves by way of exhibiting exemplary customer service to our clients through our representatives and associates located in Saudi Arab, Qatar, United Arab Emirates, Oman , Bangladesh and Malaysia etc. Lastly I would like to take this opportunity to extend my good wishes to our esteemed employers and job seekers who have helped us reach where we can rub shoulders with the whos’s who of the industry. I am also grateful to my team members because without them this feat would not have been possible. Hope you all will continue to support us in our passion change the world. To create an unparalleled landmark by remaining inspired, ambitious and forever willing to go an extra mile and let the benefits for our services bear the testimony to our clients.We aspire to make a profound presence in the international market by becoming the No.1 outsourcing partner for Human Resource management. To become an end-to-end solution provider in Human Resource management, catering to various sectors and Industries under an umbrella brand – CAREER44. We believe in ensuring the highest Customer satisfaction by creating personal bonding with our Clients. We work with the latest technologies available to make our operations fast, smooth and efficient. We believe in achieving success through the success achieved by our clients and candidates. At Career44, we believe that our success is best reflected through your success. Partnership. We act as an extension of our client’s office and work closely to provide you with decisive and dedicated support. We understand what matters to you the most and deliver accordingly. Integrity. In a demanding business with high expectations and standards, we honestly represent our clients to candidates and our candidates to clients. We do not promise what we cannot deliver.